* Effective January 1st, 2019 ScanTech will no longer perform residential testing for homeowners and tenants – all services are COMMERCIAL ONLY. Instead I will redirect you to a page for resources to other companies and common questions – CLICK HERE. EMF testing for those concerned about living near powerlines and feeders is available for commercial clients and large scale residential with reports that range from verbal to complete reports with photo documentation and graphics. 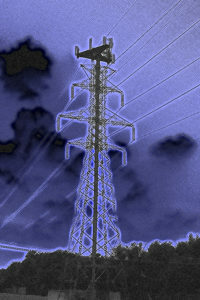 We also provide consultation on viable strategies and products for EMF protection. We travel all over Texas and cities in adjacent states including Dallas, Houston, Fort Worth, Austin, San Antonio, Amarillo, Lubbock and Oklahoma City. Medical Device Compliance Testing (Pacemakers, Implantable Defibrillators, ICD’s etc. – Medtronics, St. Jude Medical, Boston Scientific, Mortara, Nevro) for individuals returning to work or home after implant surgery to identify potential hazards from AC/DC Magnetic and Electric Fields, Microwaves, RF and general EMI (Electromagnetic Interference). We test RF energy for frequency and amplitude in order to find sources and evaluate safety with respect to FCC regulatory, compliance and precautionary guidelines, and to determine potential interference issues between wireless routers, cell phone repeaters / boosters, Radio Frequency Identification (RFID) systems, and wireless microphone / audio / video data systems. If you have an issue with electromagnetic energy that is either a safety issue or causes equipment interference such as in medical imaging, we are fully qualified to assess, troubleshoot and make sound recommendations to fix or mitigate the situation. With a background in radon and radiation safety, we are capable of evaluating and reporting on radon gas levels, how they compare with EPA standards and whether a mitigation solution is called for. This is now a common requirement for multi-family housing (apartments) and nursing / memory care facilities that fall under HUD, Fannie Mae, Freddie Mac. Also government buildings and structures that fall under GSA guidelines, etc. Whether you believe in the safety hazards of EMF or not, the most common source of high EMF fields inside the home is improper wiring which fails to conform to current NEC code. ScanTech can detect and direct repairs on electrical wiring that manifests as an abnormal magnetic field. Preliminary Construction Surveys / Property Transfer Phase I Environmental Site Due Diligence Survey testing regarding Indoor Air Quality (IAQ) – EMF Consultation for Safety and potential EMI – Radon Testing for Multi-Family Dwellings and Commercial Buildings. We are often called out to site before a structure or complex is erected in order to survey and communicate any possible issues and the potential impact of nearby power lines, substations, transformers, cell towers and other EMF/RF generating sources. We also make construction recommendations for minimizing electromagnetic field emissions for safety and electromagnetic Interference concerns with sensitive manufacturing and research equipment. ScanTech has been in the radiation survey business for over 10 years and is routinely called upon to investigate cases of suspected radioactive contamination and magnetized ferrous metals which can cause unusual issues. Our instrumentation includes several Geiger counters with capable of detecting Alpha and Beta particle emissions, X-Rays and includes specialized Gamma radiation scintillation detectors. Radioactivity testing for scrap metal or other suspected products. Weak Cellular Phone (including 2G / 3G / 4G LTE) & Wireless Strength Measurements with consulting for correction / mitigation in commercial buildings, residential and multifamily properties with poor coverage, slow data rates and dropped calls for all major telecom and communications carriers including Sprint, T-Mobile, Verizon, AT&T for smartphones, tablets, iPads, etc. Radio Frequency Identification system troubleshooting and interference issues investigated. We also perform FCC RF Compliance surveys for MPE (Maximum Permissible Exposure) including rooftop antenna installations. ScanTech troubleshoots RFID integrated systems designed to protect neonatal care facilities that employ systems such as Hugs by Stanley Healthcare and MyChild by McRoberts Security Technologies. We have the equipment to determine the sheet resistance of ESD flooring material and if anti-static grounding is working as well as the ability to identify troublesome materials and processes which can cause equipment malfunction and electric shock / fire / explosion hazards. We can also measure relative air ion counts, humidity and the direct DC static voltage on surfaces (positive or negative) up to 30,000 V to determine which objects in the environment may be damaging your static sensitive equipment. We have time based datalogging air laser analysis available to characterize particulate matter such as small particle contaminants (down to 0.5 microns such as bacteria) and large particle counts (2.5 um and larger) for potential pollen, dust and mold detection which are also known as RSPs. (Respirable Suspended Particles) We can also check for formaldehyde concentrations and VOCs (Volatile Organic Compounds) levels from outgassing materials such as pressed wood flooring or glues and other binders. Elevated CO2 (carbon dioxide) levels are indicative of Sick Building Syndrome and poor air exchange characteristics in a structure. Indoor air quality testing for VOC levels regarding Certificate of Occupancy permits according to City of Dallas Green Ordinances. Also known as the 804.2 Post-Construction, Pre-Occupancy Baseline IAQ Testing which is a 4 hour test for 500 uG / m^3 or less of VOCs. New nanomaterials on the market have raised concerns about the potential toxic effects of nanoparticles (such as carbon nanotubes, titanium dioxide, silver NPs, etc.) in particulate, aerosol, aqueous forms and their in-vivo effects. Commercial, industrial, occupational health and large scale residential applications. Sound (Commercial) & Industrial Safety field surveys and measurement including for acoustic OSHA sound and STC (Sound Transmission Class) noise levels / ordinances / testing (meeting ANSI & IEC Type 2 standards) to determine compliance and evaluate potential issues with excessive or disruptive noise. Photometric mapping for Certificates of Occupancy, (CO) identifying poor / insufficient / excessive illumination, security camera glare, ATM lighting, OSHA & ADA lighting requirements / compliance, and privacy. Many cities (such as McKinney, Plano, Frisco & Grapevine) have enacted ordinances which limit the amount of light emanating at the property line at night in foot candles. (fc) We can also measure lighting flicker rates which can cause headaches and other performance issues as well as evaluate possible disruption of circadian rhythms which lead to insomnia and lack of restful REM sleep. This entry was posted in Acoustic Sound Surveys and Lighting Level Measurements - OSHA Safety ADA ATM Applications, EMF Meters, EMF Protection, EMF Testing Bio-Electromagnetic Health & Safety Levels, Indoor Air Quality (IAQ) Testing Dallas - Fort Worth - Austin - Houston, Medical Illness Environmental Home Testing, Metallurgy / Metal / Tool Testing, Nanotoxicology & Nanomaterials Safety Consulting, Pacemakers Implanatable Cardiac Cardioverter Defibrillators Heart Device EKG EEG Electromagnetic Interference EMI Survey Consultation Testing, Radon Gas & Safety Testing - Dallas / Ft. Worth, RF Testing Cell Phones Smart Meters Weak Tower Reception, Sensitive Electronic Equipment EMI (Electromagnetic Interference) Grounding and "Dirty Electricity", Smart Meters - Safety Level Risks to Health and Cancer, Thermal Infrared Imaging Thermography and tagged 804.2 Post-Construction Pre-Occupancy Baseline IAQ Testing, acoustic, acoustical consultant, ADA, ADA compliance, Amarillo, anti-static, ATM lighting surveys, Austin, biomedical device, building biology, cancer, carbon dioxide ppm (parts per million) levels, cell tower, cellular phone reception, certificate occupancy permit, CO2, condensation, Consultation, consulting, Dallas, Dallas Green Ordinance Testing, dB, dBm, Electric Field, electromagnetic interference, electropollution, Electrostatic Discharge, emf, EMF meter, emf protection, emf survey, emf testing, emi, ESD, Evaluations, FCC, foot candles, Formaldehyde, Fort Worth, Ft. Worth, glare illumination level surveys, Green ordinance, grounding issues, HEPA Filters, high frequency noise, high power lines, IAQ, iaq survey, illumination, implant, Indoor Air Quality, indoor air quality survey Dallas, indoor air quality testing dallas, issues, light levels, lighting level survey, living near powerlines, Lubbock, lumens, magnetic field, magnetic shielding, medical environmental illness home testing, medical imaging, moisture problem, mold testing, nanoparticles, Nanotoxicology, noise sound level survey, noise survey, OSHA, outgassing, oxygen, Phase I Environmental, photometric surveys, PM10, PM2.5, power lines, psychometrics, Radiation, radon, Respirable Suspended Particles, RF, RF compliance survey, rf shielding, RFID, RSP, safe distance, safety, San Antonio, Scans, Shielding, Smart Meters, sound, Surveys, Thermal Imaging, Thermography, troubleshooting, VOC, Volatile Organic Compounds, water leaks, weak cell signal, wireless internet on December 23, 2015 by jagman777. Sensitive Electronic Equipment EMI (Electromagnetic Interference) Grounding and "Dirty Electricity"